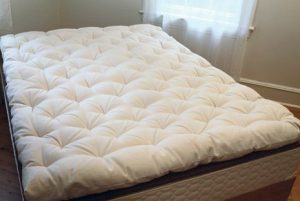 $885.00 – $2,300.00 On Sale! 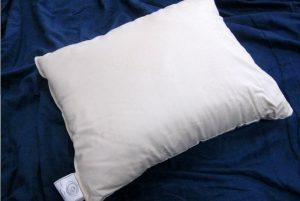 In the center is a 3″ piece of your choice of either 100% natural or organic latex. 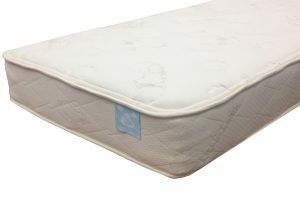 It then has layers of organic cotton batting, pure virgin eco-valley wool and is then covered with an organic cotton damask fabric. 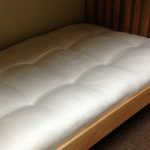 It does have a zipper, but the cover is not removable as it is tufted to hold the layers or latex, cotton, and wool in place. 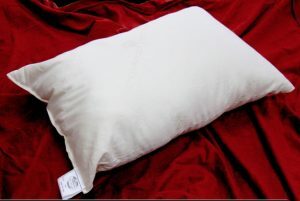 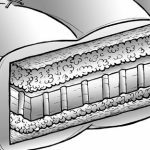 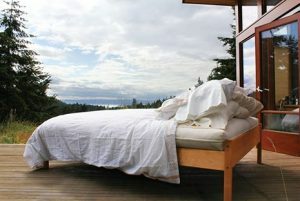 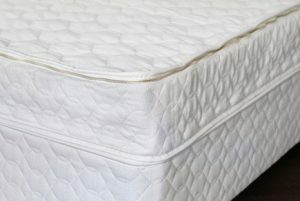 It is handmade in Washington State, to provide an economical but healthy organic mattress choice. 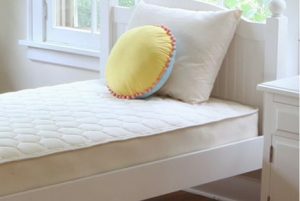 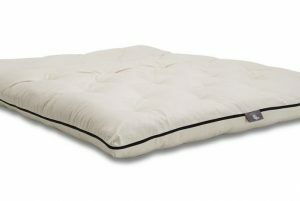 This medium-firm organic futon mattress finishes at approximately 8″ thick. 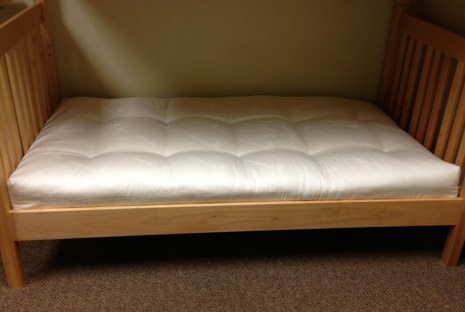 We can custom order this mattress to be made without wool. 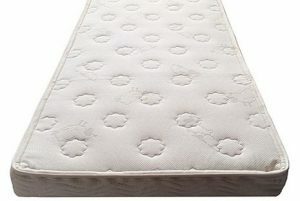 Organic cotton batting replaces the wool that is in this mattress. 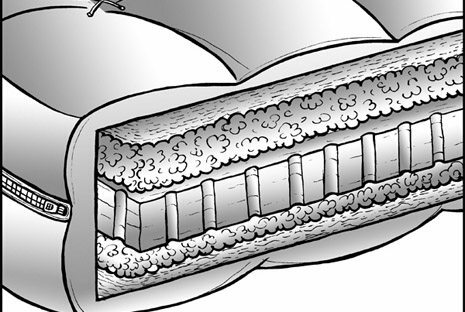 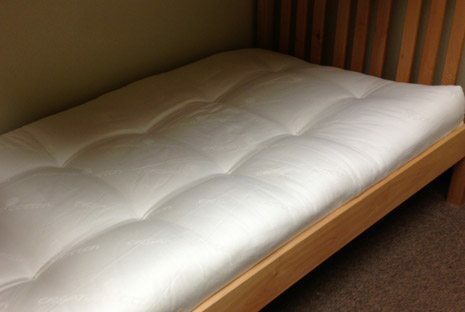 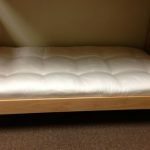 If we remove the wool from this mattress, it no longer meets the US flame retardant standards, so in order to purchase this mattress, you must have a doctor’s note, written from a physician or chiropractor, stating that you need a mattress made with neither chemical flame retardants or wool. 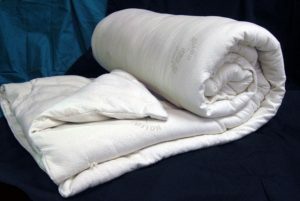 We must have the doctor’s note before getting this order in production, please email or fax it to us at 415-962-4208.